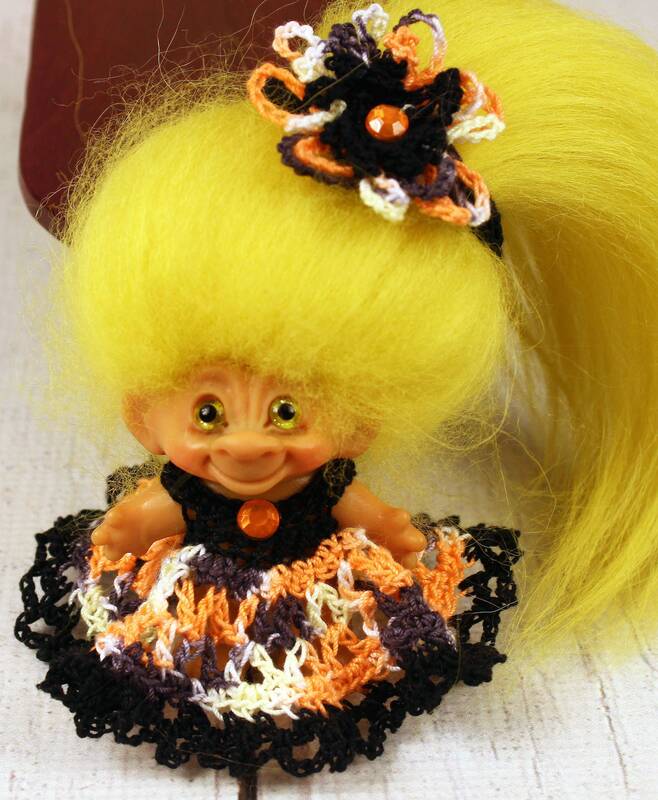 Troll is not included - she is modeling my outfit! Up for sale is hand crocheted Troll outfit that includes a lovely dress and matching flower headband. This darling outfit was crocheted by me with special attention to detail using black and a lovely specialty hand dyed thread called "Witch Time" in shades of orange, yellow, and black. The dress fastens in the back with a snap. 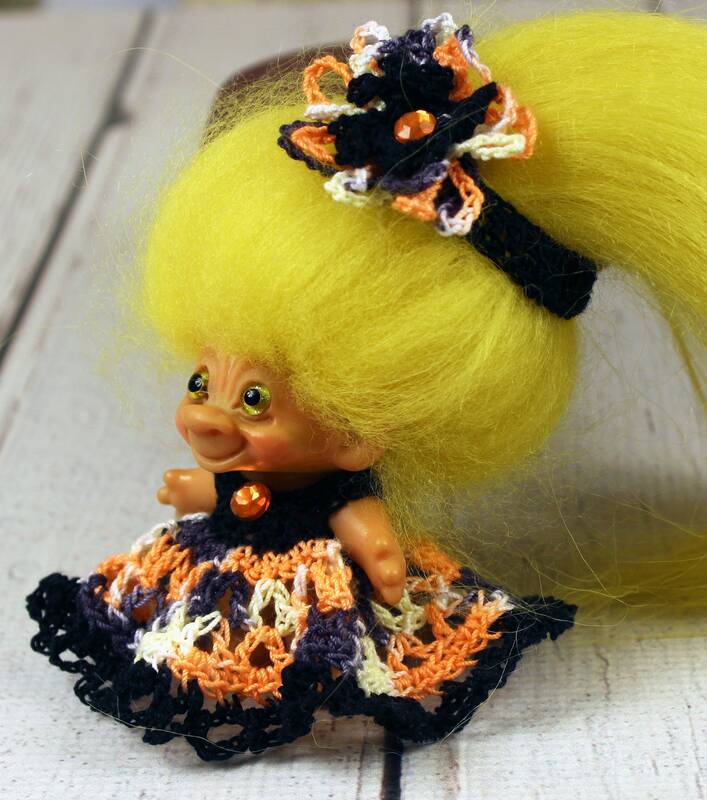 This sweet outfit would look absolutely adorable on your favorite Troll doll! From a smoke free but pet friendly environment.